Isn't this quilt awesome! 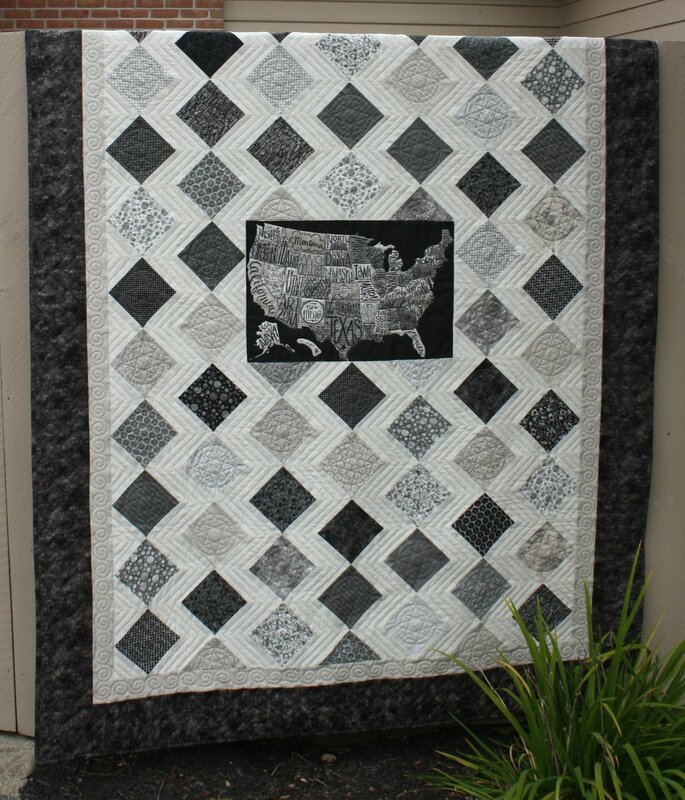 From the USA panel in the center to the quilting, it's beautiful. This kit includes all the fabric for the top and binding plus the pattern. 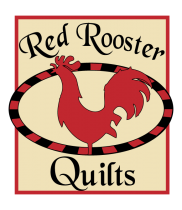 An exclusive design for Red Rooster Quilts by Karen O'Connor. Fabric is from the Metropolis line by Moda. Finished size ~57" x 83". Speaking of quilting, I just had to show you the back. We LOVE the minkee/flurr/polyester backing fabrics for a lap quilt! My kids (who aren't really kids anymore) fight over the blanket with the minkee on the back. Estill Salyers from Red Rooster Quilts did the quilting. It's perfect!